Quirky NY Chick: Video of the Day: Cold Specks - "Holland"
Today we have you "Holland." It's by Cold Specks, the moniker of singer/songwriter Al Spx. 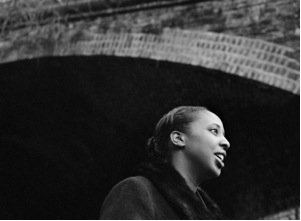 Cold Specks will release their debut album, I Predict A Graceful E xpulsion via Mute Records on May 22. The Olivier Groulx directed video can be seen at the bottom of the post.